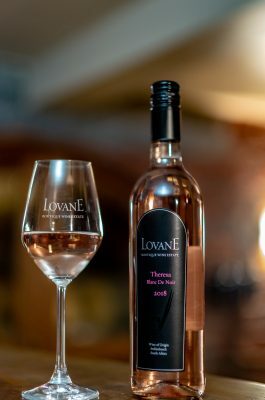 This is a stylish, elegant Brut Rose. The wine is a blend of Chardonnay and Pinot Noir. The Chardonnay gives goodacidity and structure to the wine and the Pinot Noir adds richness and full fruit. The Chardonnay component also enhances the aging ability of this elegant MCC. Only 800 bottles were produced. 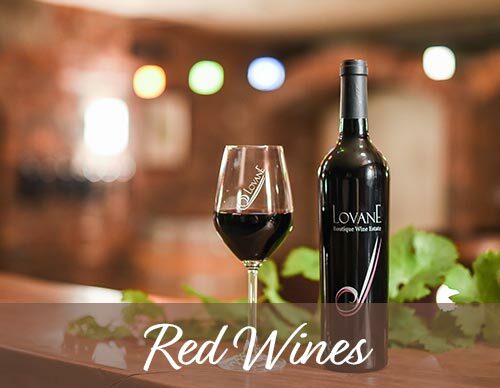 Lovane, located in Stellenbosch, is the smallest commercial wine farm in South Africa. Established in 2003, our first wines were bottled in 2006. 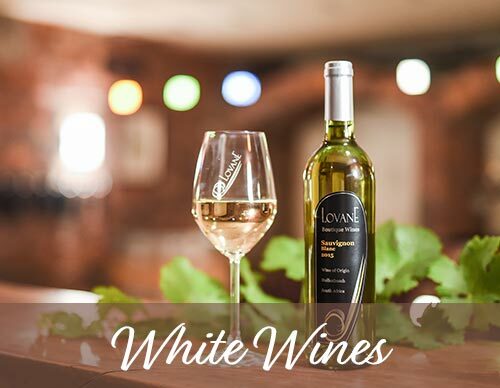 Although only limited quantities are produced we always strive to produce elegant, quality wines from grapes sourced from the Western Cape region. Our Méthode Cap Classique is made entirely by hand in the old traditional style. The farm is owned by the Visser family, Theresa, Hennie and their twin daughters Andrea and Natalie. The grapes were harvested by hand during early January. The chardonnay and pinot noir grapes were whole bunch pressed to ensure a soft and elegant base wine. The wines were fermented at cool temperatures prior to secondary fermentation. 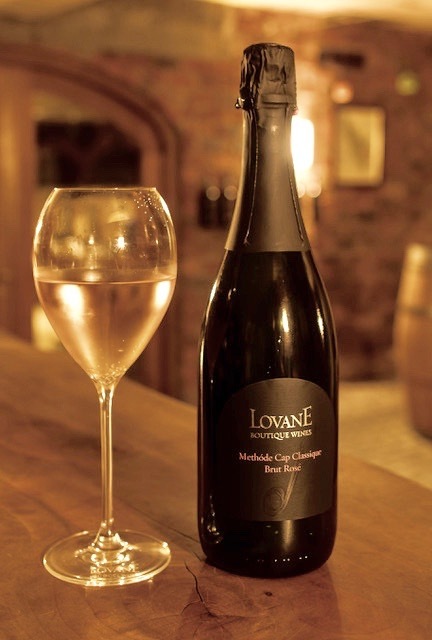 Our bubbles are created through a traditional method of combining sugar and yeast to incite a secondary fermentation in the bottled wine. Maturation takes place, in the bottle on lees, for a minimum period of 18 months.